Can We Get Cereal Mascot PSH? Funko Takes Over Aisle 3! Re: Can We Get Cereal Mascot PSH? Funko Takes Over Aisle 3! This is a super cute idea! Reminds me of when me and my cousins and sister would all fight over who got the prize in each cereal box and had established a round robin system for it. Finding a cereal with a prize inside is rare nowadays. Kind of sad. 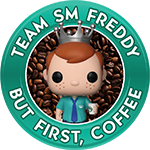 Save us Funko!! I thought we are getting the toys inside the cereals funko will be releasing soon? PSHs don’t get enough love, but make a set of cereal ad icons and I think people will go bananas. I would normally just buy a case of them and not even try for any store exclusives but I would collect every single one of them if they made these happen. This is a great idea for sure. supertoygiant wrote: I thought we are getting the toys inside the cereals funko will be releasing soon? From the pictures released today they look more like Pocket Pop! instead of PSH. I am happy that they are pocket pops. I need more of those!!! Was hoping to see some cereals at comic con but maybe at fundays? wmwadeii wrote: From the pictures released today they look more like Pocket Pop! instead of PSH. Maybe protos of the pocket pops? zwahelian wrote: PSHs don’t get enough love, but make a set of cereal ad icons and I think people will go bananas. I would normally just buy a case of them and not even try for any store exclusives but I would collect every single one of them if they made these happen. Bananas would be an understatement. People love the cereal ad icons and I have to admit I too am one of those people. I have quite a few PSH and the thought of trying to chase down these if funko made them is already giving me anxiety . Nonetheless bring it on!! I’d get back into pints no doubt if this happened. Hope the cereals at DCon have different prizes. Tony The Tiger and Toucan Sam would look cool in PSH form. Nooklin wrote: I have no idea how many boxes of cereal I would buy if PSH were randomly inserted in General Mills, Post/Quaker, and/or Kelloggs boxes as prizes. Not mail away, unless they were glow spirit Star Wars of course, but actually in the box. A full set could be anywhere between 5-40 pieces with metallic, alt costume, and glow variants. 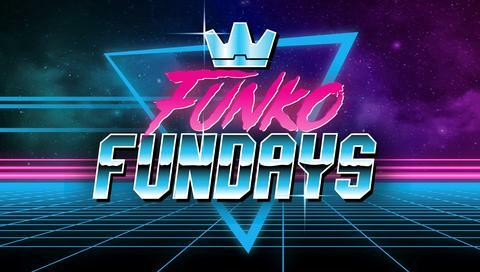 Hoping to attend my first Fundays this year!